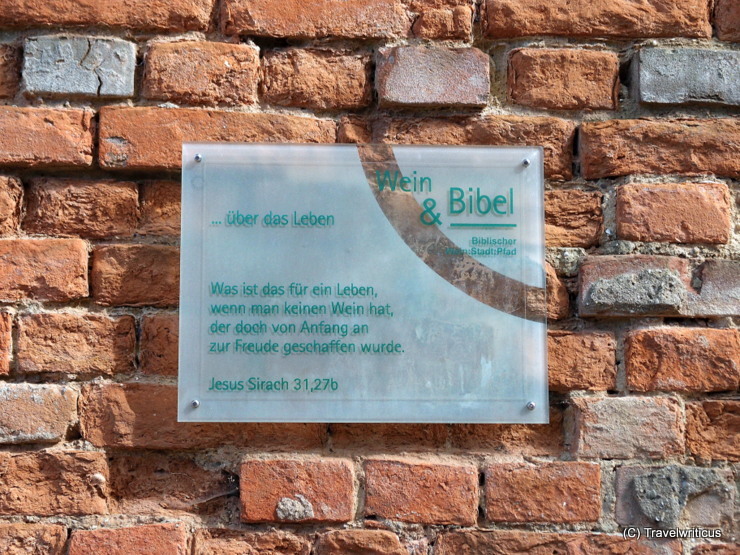 Along the walls next to the parish church of Poysdorf there is a wine & bible trail displaing quote from the bible mentioning wine. Walking along this trail gives you some great insights about the correct use of wine and probably some good points for buying more wine at the nearby wine store (Weinmarkt) of Poysdorf.. Along a gorge next to Millstatt there is a fun trail (Klangschlucht Millstatt) which invites hikers to listen to the sounds of the gorge and the water. 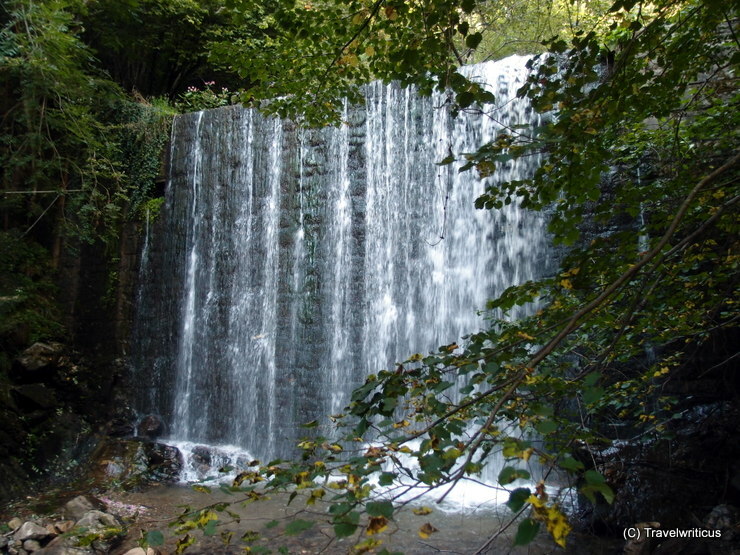 At this waterfall I was impressed to hear two completely different sounds: The roar of the waterfall and the gurgle of the brook named Riegenbach at the same time. At the end of 19th century Millstatt became famous as the Austrian Nice. Many people from Vienna and abroad – even from Russia – loved to stay for a summer vacation at the Millstatt Lake. From this time a lot of villas are still to see. 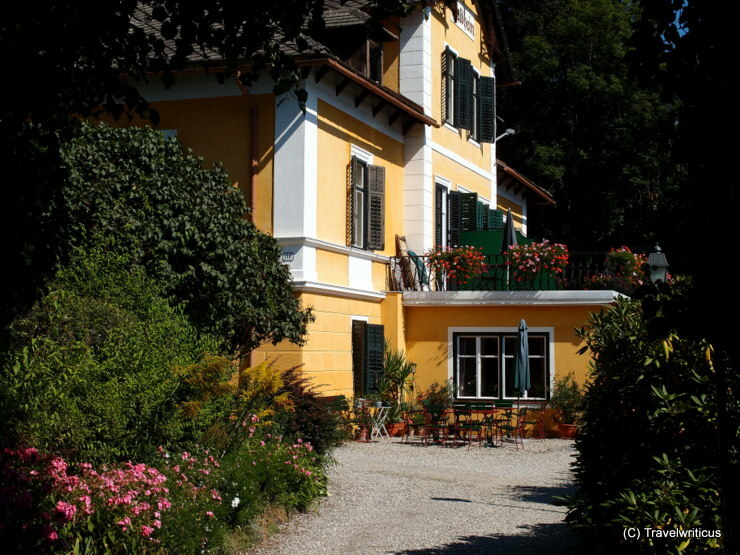 A path of villas (Villenweg) shows the most impressive villas along the lake and in the city. 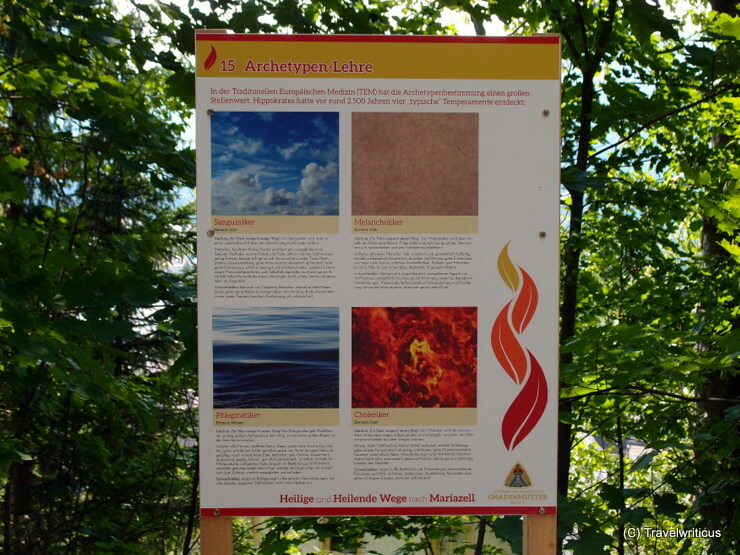 An educational nature trail connecting the chapel of St Sebastian with the centre of Mariazell educates about numerous uses of herbs. 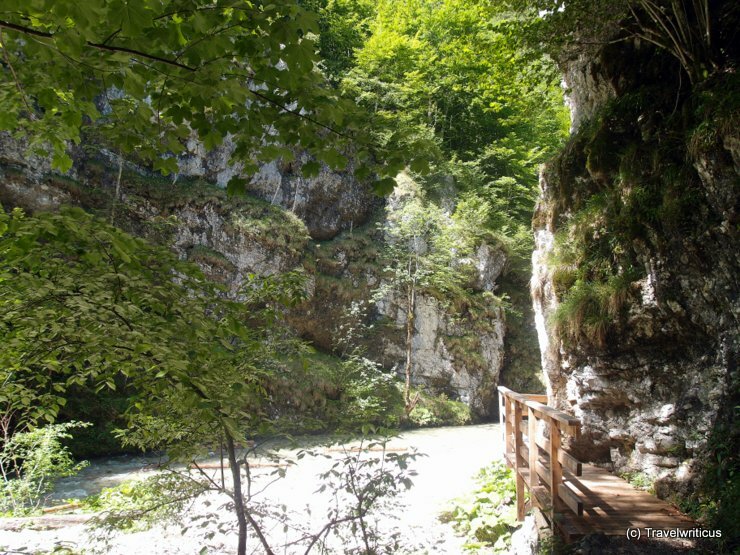 The trail is part of the state exhibition of Lower Austria titled ÖTSCHER:REICH. 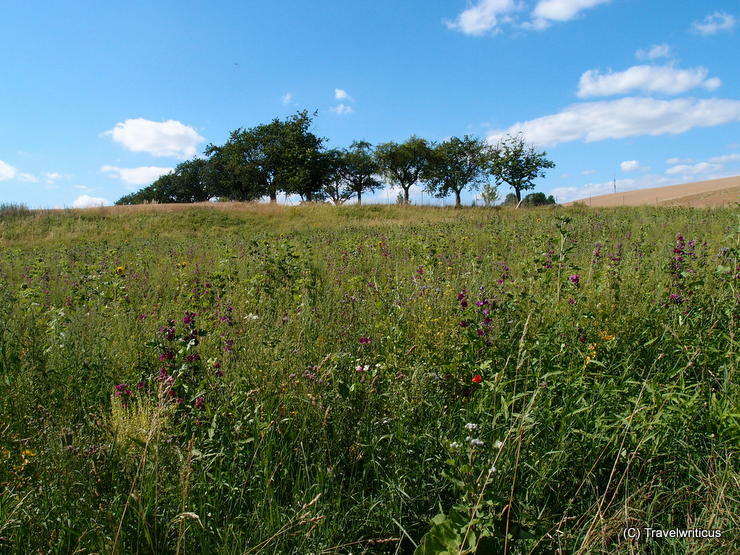 Impression of the Ilm Valley cycle route (Ilmtal-Radweg) in Thuringia, Germany. Another interesting plaque you can see in Salzburg. A project named Frauenspuren (women’s trail) in Salzburg tells where eminent women worked or lived in the city. E.g. 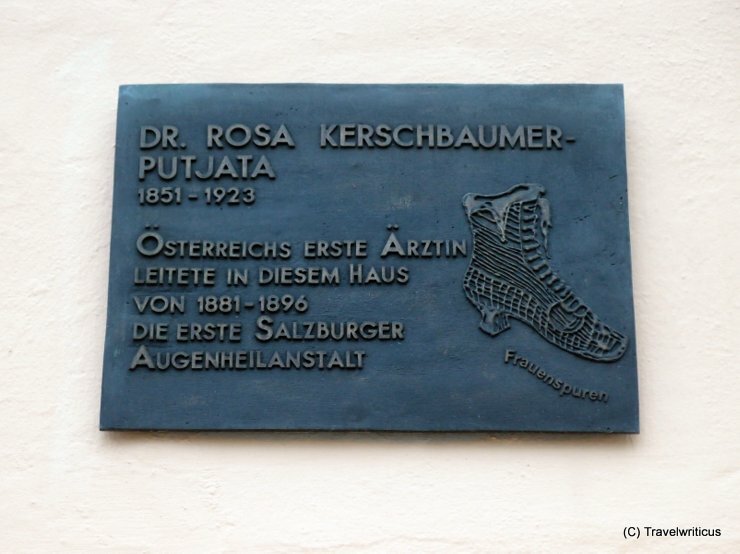 the plaque depicted above is dedicated to Dr. Rosa Kerschbaumer-Putjata, the first female Doctor in Austria. She ran an ophthalmic sanatorium in Salzburg. High over Sankt Wolfgang im Salzkammergut a hiking trail named The Painter’s Steep (Malersteig) leading up to the Kalvarienberg Hill offers a fine view of Sankt Wolfgang and lake Wolfgangsee. The name origins from the fact that many famous landscapists used to paint their works standing on those meadows. 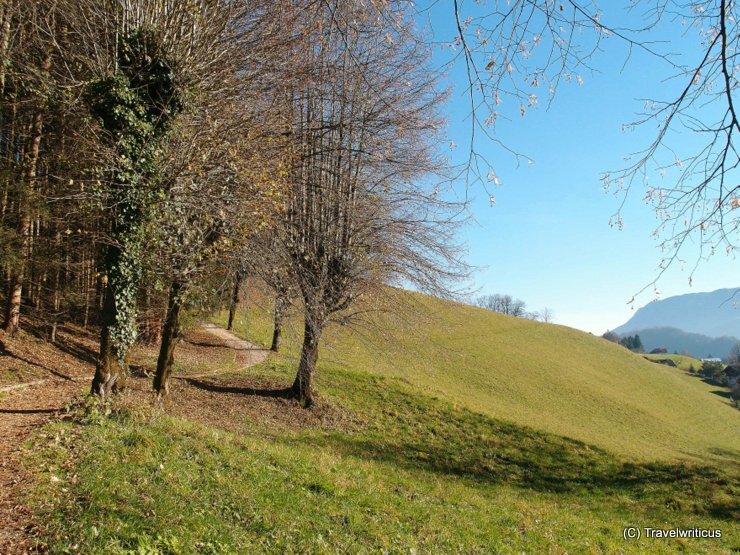 A pretty special hiking trail in Austria is the 1. Wiener Wasserleitungsweg which leads along the water supply line from the mountains of Lower Austria down to Vienna. 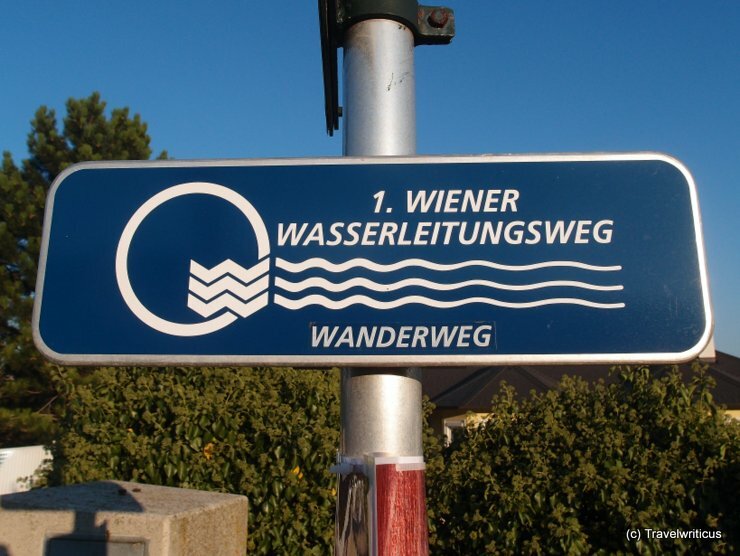 So one can learn about the sources of Vienna’s water just by following a path.